After Dong Nguyen removed his mega-popular game Flappy Bird from the Google Play Store and the Apple App Store, it was inevitable that a knock-off predecessor would soon take it’s place. 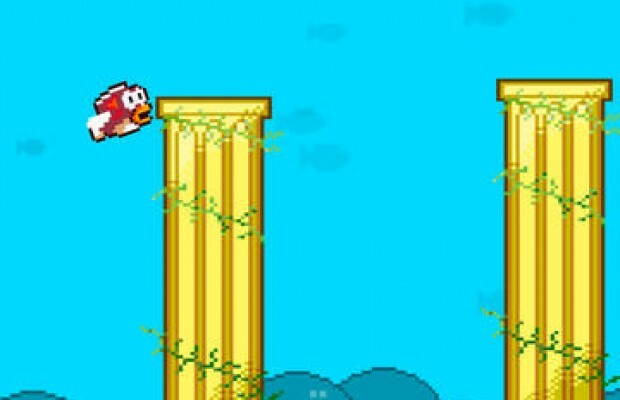 That game goes by the name Splashy Fish, and it essentially offers the exact same game as Flappy Bird, except you’re playing as a fish underwater. The game has only been up since the 11th of February, and it has already climbed it’s way to the #1 spot on the free chart of the Apple App Store. It is sitting at an average rating of 4/5 stars , with over 16,000 votes as of right now (these stats are based off of the iOS market). Players generally agree that the game plays 100% like Flappy Bird, and most of the negative reviews are from those who wanted this fad to die with the original game. Currently, the game is not available for Android users, but it wouldn’t be too surprising to see this game hit the Play Store as well. For Android users, it isn’t even necessary to get Splashy Fish, since you can still download and install Flappy Bird rather easily. However, there’s no way to get it on an iOS device that isn’t jailbroken, unless you had it installed before it was removed from the store — and you can’t delete it or it will be gone for good. Regardless, anyone on iOS in need of a fix can try out Splashy Fish, it should satisfy your needs. You should know that this isn’t the only attempt to jump aboard the success of Flappy, there’s actually several other knock-offs, here’s a few: Fly Birdie, City Bird, Clumsy Bird, and even a Sesame Street version called Flappy Bert. None of these quite mimic the feel of Flappy Bird as well as Splashy Fish, however. 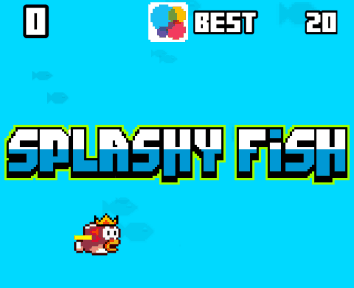 If you’re an Android user, you can try Splashy the Fish, which is a knock-off of Splashy Fish. Although, playing a game that is a knock-off of a game, that is a knock-off of another game, seems a bit redundant.